There is a certain generation of women who seem to feel that anything which puts the spotlight on what a woman is wearing or how they look or is too feminine in any way needs to be shut down because it is offensive to women. So of course the red carpet would be at the top of the firing line. It needs to be understood that the red carpet is a business. It is just as much a part of being in La La Land as it is playing that all important role. As an actor walks the red carpet they are not being themselves, they have stepped into another role, another character for the night. They come ready for the cameras. Weeks of preparation by their glam squads and thousands of dollars are put into these few hours. As a result a red carpet critique is so very different to one of somebody being papped coming out of their mothers house or doing the grocery shopping and being shamed for wearing last seasons skirt length…though we all know that most of these ‘coffee run’ snaps are often just as orchestrated. What people seem to forget is that actors spend the weeks and months of award season selling their souls, sucking up, going to every luncheon, dinner they can to impress the Hollywood Foreign Press or the Academy for Motion Picture. The red carpet is no different. We’re fooled into believing that the actors make all the choices of who to wear, what to wear. They don’t. Even their stylists don’t because that picture perfect dress will go straight to who the designer wants to wear it. They will be first on the list and if it’s rejected it then goes down along the pecking order till it’s picked up. 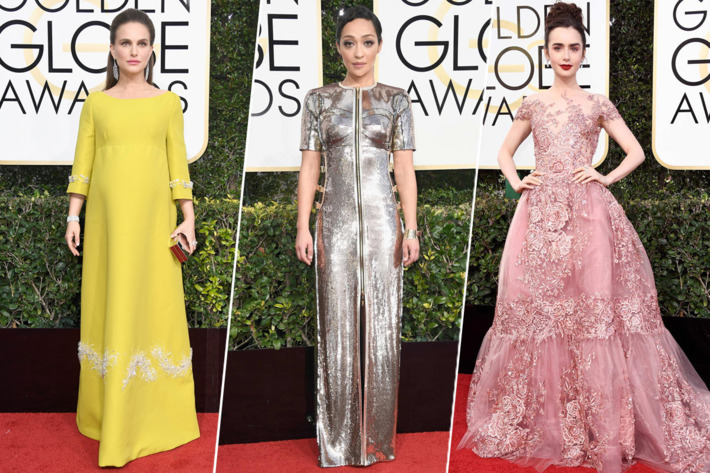 With the onslaught of the internet and social media we are seeing a very subdued red carpet. It’s boring. Any resemblance of individualism has disappeared leaving any critique far from personal. If anything it’s just another catwalk show though instead of models it’s our favourite on screen stars strutting their stuff. 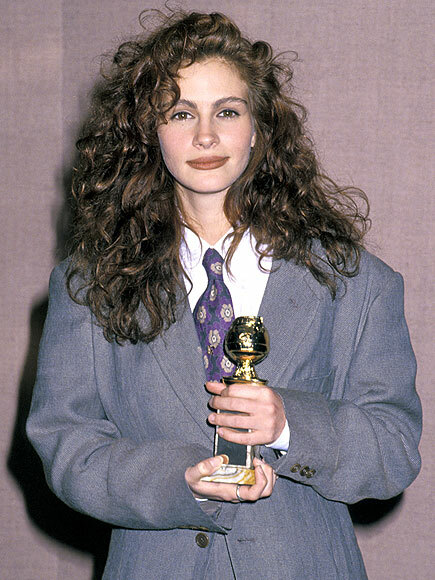 Gone are the days of the 70s, 80s and 90s when stars wore clothes that represented their personalities. 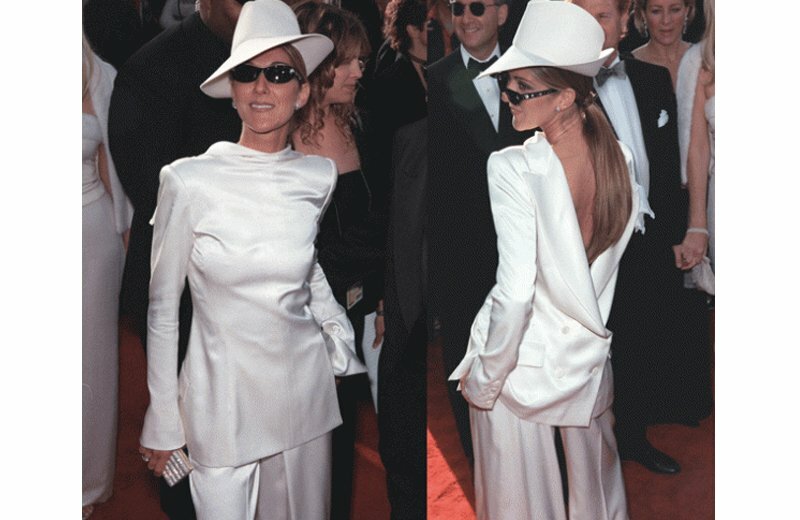 These were the times of Celine Dion wearing a back to front pant suit topped off with a fedora hat, Bjork and that Swan dress and shudder to think Julia Roberts work an over sized mans suit with tie to collect her 1990 Golden Globe. Oh dear Evan Rachel Wood think you were beaten by a few decades for your ‘daring’ choice of wearing a sleek tuxedo suit. And with the 90s came the Rivers duo with their quick wit and let’s face it hilarious critique. Joan and Melissa brought fun to an already spritely red carpet. But as the years went on designers got in on the act and the fun began to dissipate leaving us with what we have now. The closest we’ve gotten to outrageous was Gaga’s meat dress. Which is probs best because rocking the boat in this ever sensitive PC world will just leave the millennials heads in a spin.